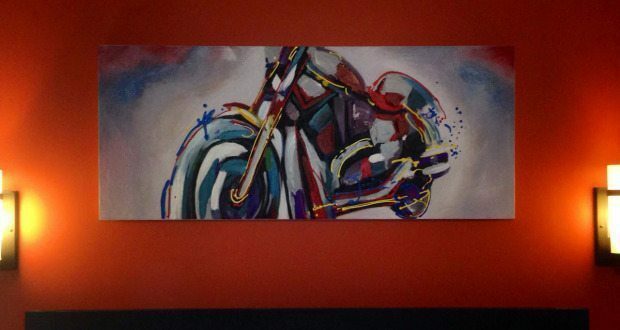 Home / Reviews / Product Reviews / My Motorcycle Paintings Are Up! 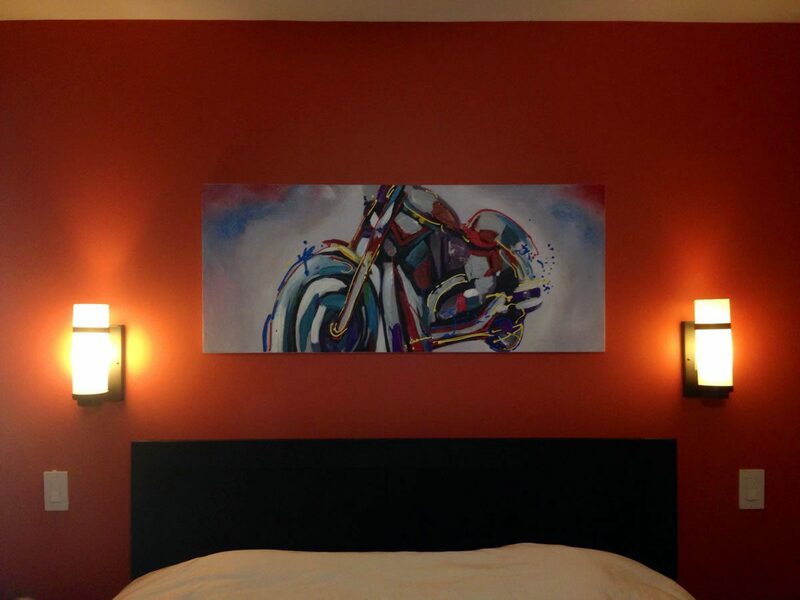 My motorcycle paintings from Artwork Only on Etsy have finally arrived! 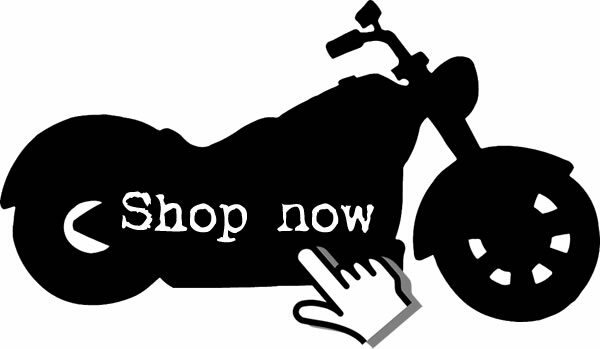 Last month I wrote about my success finding motorcycle art for relatively decent prices on Etsy. If you haven’t already, you should read that post first. 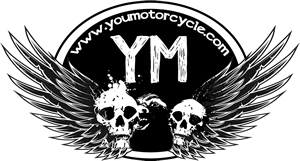 In it I share the two paintings I bought (and why), my favourite pieces of motorcycle artwork still available at four different price points (so you can find what’s perfect for you), and some tips for buying motorcycle paintings online. Earlier this week I finally got my paintings. One was of a row of scooters parked, the other was unmistakably a painting of a Harley-Davidson V-Rod. When they arrived both the painting of the scooters and the painting of the Harley looked exactly as pictured. Well done and my compliments to Artwork Only on Etsy! They also came pre-framed so all that was left to do was frame them. Here are both paintings, mounted. Considering I spent around $250 all-in, I’m very happy with my motorcycle paintings that I purchased. The quality is there. You can tell this is a real painting, paint on canvas, no reprint or shenanigans. The bang for your buck value is there. Most importantly, they match my home really well, they suit my personality, and they really turn my house into my home… because as it turns out, there’s more to enjoying a house than just what you can do in the garage with your motorcycles! How about you? 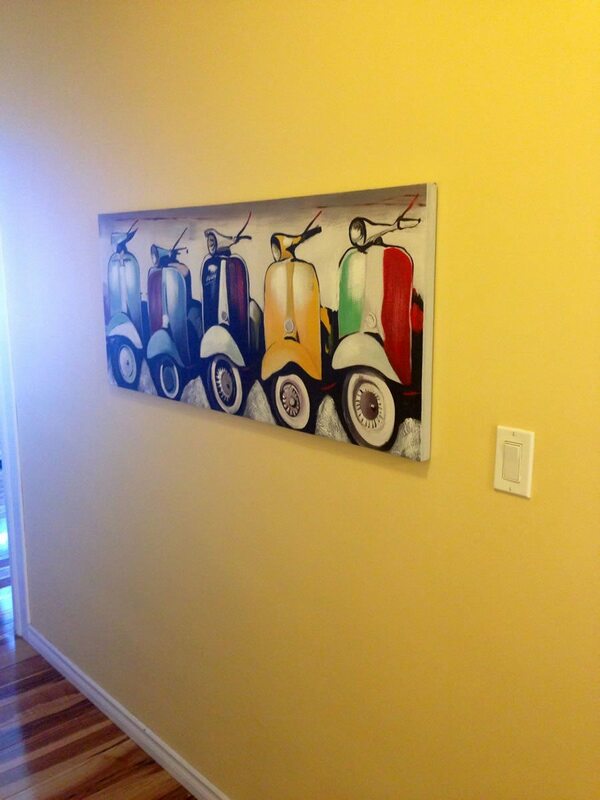 Do you have any motorcycle artwork or paraphernalia hanging around your place? Leave a comment and let me know!